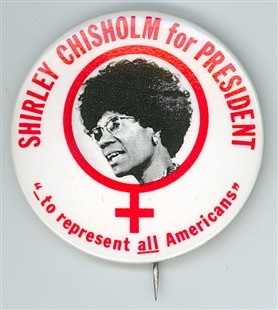 This campaign button marks Representative Shirley Chisholm’s presidential run. 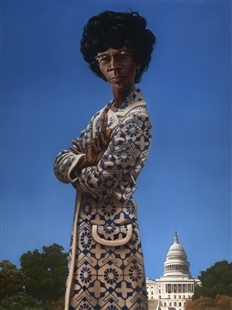 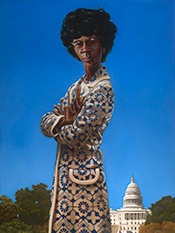 A bold and outspoken Member of Congress beginning in 1969, Chisholm continued to challenge expectations with her 1972 campaign for the Democratic presidential nomination. 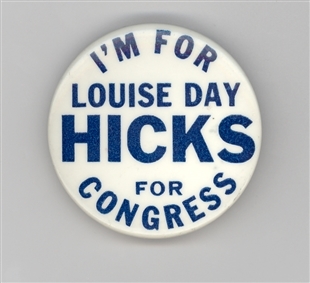 Though largely a symbolic undertaking, she was the first African-American woman who was a serious candidate for a major party nomination. 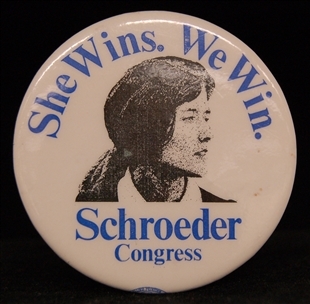 As suggested by the design of this button for that landmark campaign, Chisholm found gender a greater hurdle than her race in her political career.